I have been covering the rooftop construction at Pinelands Regional High School since early October. I have received lots of quiet support from many people. A few extremely vocal people, however, are trying to make things as difficult as possible. I can only guess this is because I am an outsider. Somehow, it is inconceivable that I care about children and people that live outside of my own home or neighborhood. The most negative and persistent individual by far has been a high school parent named Kelly Ann Ebner-Maher. On December 7th, this individual accused me, in public, of violating her copyrights. 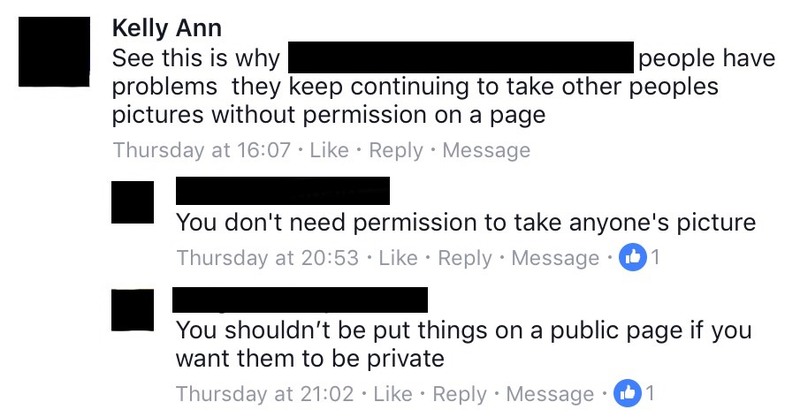 She claimed that I published some photos that she took and posted on Facebook, without asking permission or giving proper credit. I have proof that this is not the case. I received the photos in an email, directly from the photographer, and was granted permission to publish them. This individual has not provided evidence that the pictures are her own, has not retracted the accusation, and has long since stopped responding to my comments. This is the second time she has accused me of violating her copyrights, both times in public. The first was on November 8th, when she also accused me of lying and somehow concealing the people that I work with (such as my editor, who is listed at the top many of my articles). In addition, less than twenty-four hours after meeting me, this person accused me in private of, among other things, conspiring to bully a young person online. She was also convinced that I was not me – that my personal and Citizens’ Media TV Facebook pages were nothing more than fake profiles controlled by someone else. She threatened, unless I told her my real identity or divulged the others involved, that she would report me to the police. One week later, she thankfully apologized for this. Since then, however, she has secretly tried to convince a number of my friends and allies that I am once again guilty of these same things. This person has also banned me from her multiple Facebook groups – twice – for reasons that, as best as I understand, have nothing to do with violations of rules. Finally, on December 7th, she once again accused me of being someone else. This time it was said in public. 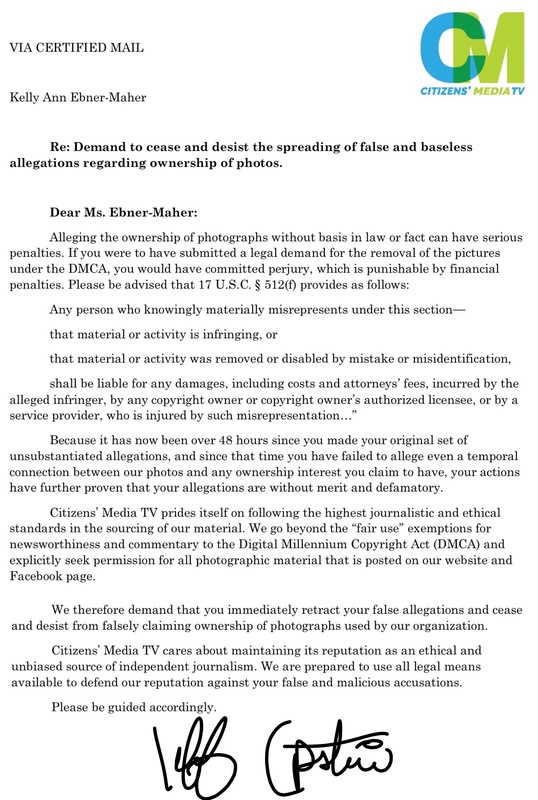 Integrity and ethics is the foundation of Citizens’ Media TV. Over the past two months, a single individual has spent much of her time and energy trying to convince people, both in public and in private, that we don’t have either. Many days have been wasted dealing with the consequences of these actions. The below letter has been delivered to this person. In another day or two, they will be banned from my news and personal pages. 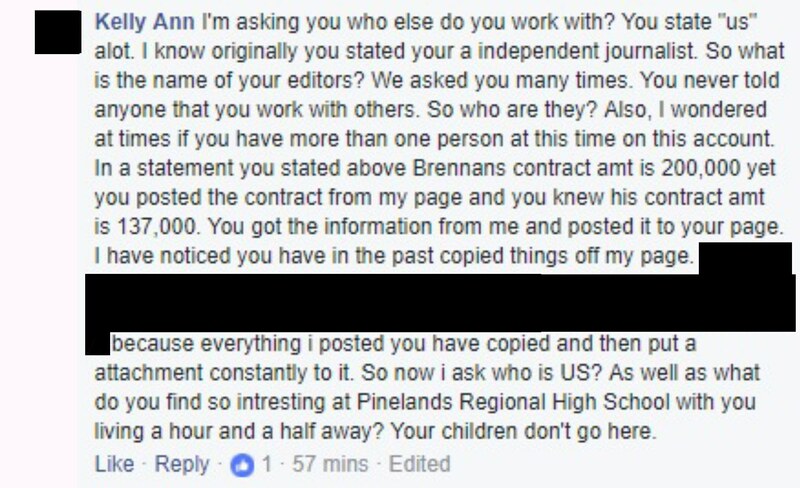 I am working very hard to uncover the truth at Pinelands Regional High School, not making a single dime for two months of full-time work. I don’t have time for this.